In order to seize the KR-file after the exchange on KN6. Forced. 29 P-R6+ was threatened. Mecking was in time-trouble and was afraid of mating threats after R1-R5. Here a devastating idea came into my head and I played . . .
Mecking didn't appreciate the threat and replied . 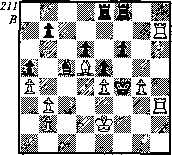 . .
he exceeded the time limit, although he could have resigned in view of the unavoidable mate. 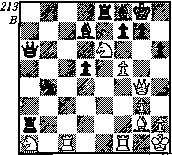 But even after the best defence -33 . . . K xNP 34 R-Rl R-KN1 35 BxR RxB 36 R-KB1 White wins easily. 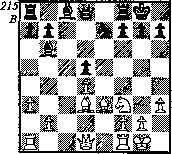 34 .. .B x N The last hope for White was 34 . . .PxN?? 35 PxP with 36 RxB+ to follow and White wins. Now it's all over. 35 BxNP Q.-K7! 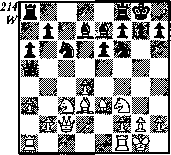 37 BxB RlxB 38 PxB PxP 39 KR-K1 R1-B7 40 R x R R x R 0-1 The pawns are too strong. 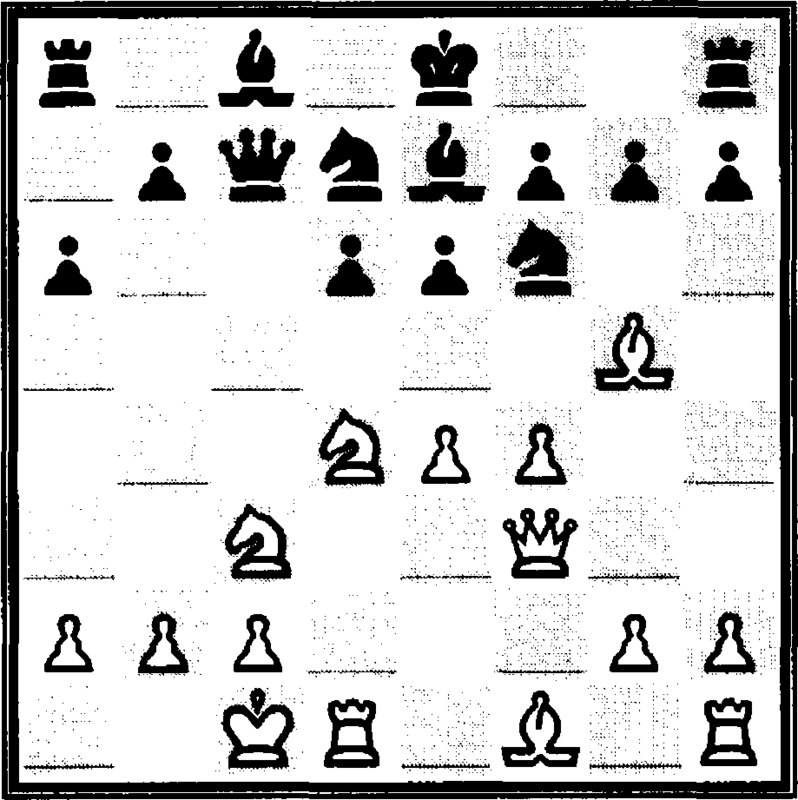 Using the fifth rank to liaise between K- and Q-side - the threat is 33 R-N5+. 32 . . . N-B2 33 R-R3! Intending 34 N-K5 without allowing 34 . . . Q-N6! 33 . . . Q-N2 34 R-R7 B-Kl 35 R-N5 QxR 36 NxQNxN 37 P-Q5! 1-0 After 37 ... R-B2 38 R xR N xR (38 ... B x R 39 Q-K5) 39 P x P wins easily. 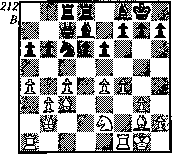 14 . . .Q-Q3 15 R-Kl B-B2 16 R-QB1 B-K3 was played in Gligorid-Polugayevsky, Palma 1970, and now Gligorid gives 17 Q-B2±.